London, April 1812. 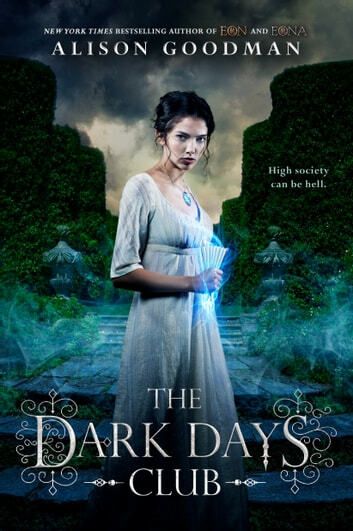 On the eve of eighteen-year-old Lady Helen Wrexhall's presentation to the queen, one of her family's housemaids disappears-and Helen is drawn into the shadows of Regency London. There, she meets Lord Carlston, one of the few who can stop the perpetrators: a cabal of demons infiltrating every level of society. Dare she ask for his help, when his reputation is almost as black as his lingering eyes? And will her intelligence and headstrong curiosity wind up leading them into a death trap? Really nice reading! This is a very well-researched and masterfully- written book. The characters are complex and the plot moves at adequate speed. The only thing I dislike is the love triangle, but I hope it turns out to be something more than two men fighting for a girl. Congrats to the author for creating such an interesting read!